I went through a report on Horse-flu during my official stay in one of the hotels in Sydney. Lately, there have been cases of horse flu in Australia. A summit was held on national equine influenza in Sydney. 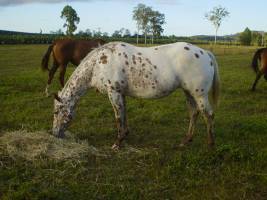 New South Wales Primary Industries Minister though said that there are little chances for the outbreak of horse-flu, but little can be said or affirmed on this matter. He said a complete vaccination can though save you the deadly flu. However, Equine Veterinarians Association made an equally alarming statement that it is impossible to be completely vaccinated from the horse-flu as the virus of equine influenza keeps on changing shape and strain.